ive been wanting to read this for a while thank you! Synopsis: The story centers around a quiet high school girl who ends up inheriting a minor entertainment talent agency. To pay off her newly obtained debts, she sets out to discover new talent and stars on the rise. Thank you!! Morinaga Ai ^___^ awww! Looks funny and I like the drawing style. Thanks for this project. like it , it's the best! yay!!! i like the author's work. can't wait to read this one :) thanks! Looking forward to this, thanks for release! Since it's Morinaga Ai it should be entertaining. OMG!! The guy looks HOT!!! All manga from Ai sensei are so good and funny, I wonder if this series is also interesting too ^^!!! oh ,i love this manga very much ! everybody in this manga is really funny! OMG I AM SO EXCITED!!!!!!! I love this mangaka! Thanks so much for picking this up!! Ohhh, Morinaga Ai! Looks fun! Oooh, I love Morinaga Ai's work! I can't wait to read this one! Awesome :D I've been lookin everywhere for this one! Thanks!!! Thanks!!!! I was looking for this manga!! Now this looks interesting, can't believe I didn't see this before, thanks for the release in any event guys, can't wait for the next one! this manga is really interesting thx for releasing it! Thanks for this release. Looking forward to more of this mangaka's work. Thank you so much for this series! 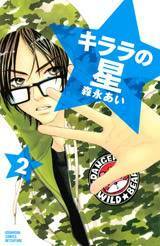 I'm a huge fan of Ai Morinaga and am always happy to see any of her works! 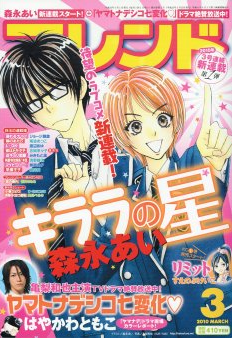 i've been a fan of morinaga ai's since gokuraku seishun hockey club. i wasn't even aware she had a new series! Just by looking at the cover, it looks very interesting. Another work from Ai morinaga! Can't wait to read it. It looks interesting. Thank you for scanlating this.